Are you concerned about marine litter, dirty seawater or losing our surf breaks? 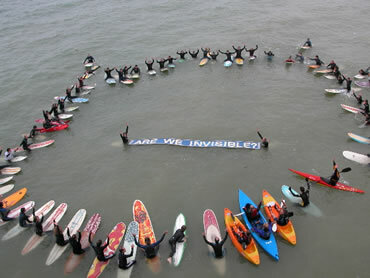 Surfers Against Sewage fights on behalf of all sea-users for clean seas and beaches and to protect our waves. SAS have three new local representatives – Andrew Coleman, Claire Potter and Nick Sturman. They will be helping to organise local beach cleans and other events to support SAS’s campaigns. Andrew was the first local SAS rep in Brighton in the 1990s and has led successful and headline-grabbing campaigns. Claire is a marine litter guru and eco-design specialist. Nick is a kitesurfer and wakeboarder.